my love of all things sea-related runs deep. i think something about growing up in a beach town means you're born with an endless love and appreciation for any ocean-related imagery. so of course i'm all a flutter about jessica polka's work at wunderkammer. 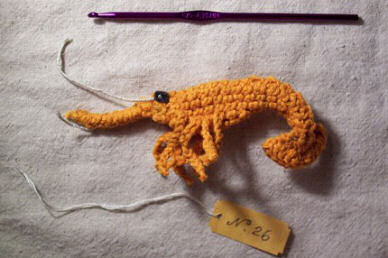 she crochets beautiful coral, octopus, squid and prawns and sells them (and patterns for each project) at her etsy shop. 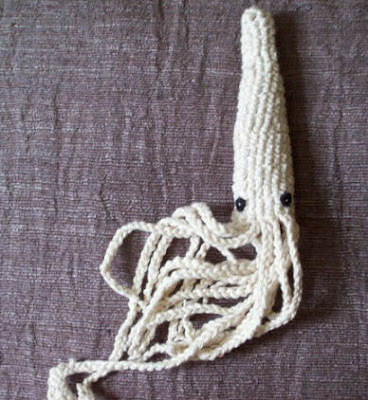 based in north carolina, jessica describes crochet as, "the all-seeing emperor of needlecrafts"; her love for the art creeps through every tiny stitch and each finished piece. i found her work through craftzine but you can click here for more on jessica's work. enjoy! oh wow...these are fantastic. i love the mini tags with each item! 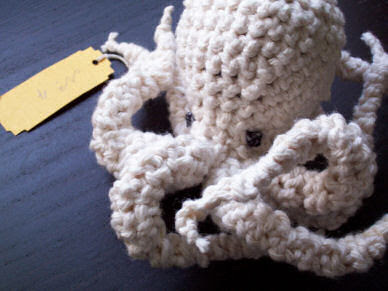 These are stunning, and I think crochet is a perfect way to communicate those sea forms, intricate and repeating shapes. What a cool idea. i am WILD about that coral. i just started to crochet, and these images are so inspiring! after years of knitting scarves, i'm really excited by the potential of crocheting. thanks for posting these great objects! 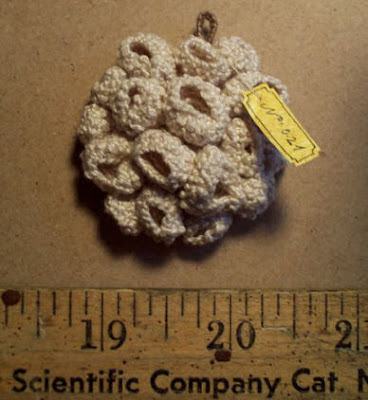 i'm loving these mini crochet sea creatures! 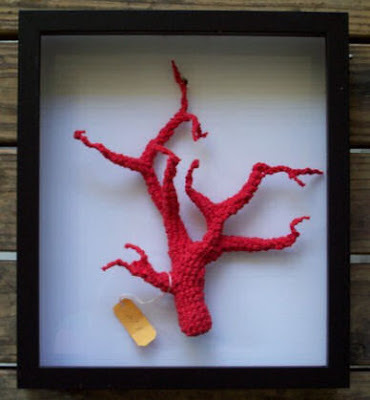 Perhaps you already know the work of Helle Jorgensen - an Aussie artist who does the most incredible sea-inspired crochet. She also sells on Etsy. wow...great and fabulous, a seahorse would really be cute!